This year I am doing a siyum on Chol hamoed. It's the fifth time I have done a siyum on Chol Hamoed . 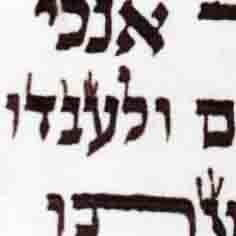 If the outline of the remaining letters is written before Yom Tov and the siyum involves just filling in letters,it is permitted to do so on chol hamoed because such work is not considered maaseh uman. It is for this reason that it is not uncommon for a siyum to occur on chol hamoed. My question is, if something goes wrong i.e. 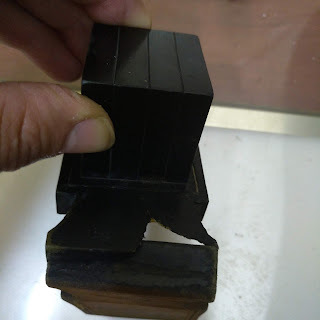 there is a smudge or mistake that needs to be repaired during the siyum process - and the skill needed to fix it is masseh uman - ie we are not just filling in letters anymore, this is a proper tikkun - what is the din? Thankfully it has never happened to me, but I was wondering what happens in such a case and if anyone has experience in this matter. See Moed Katan, Perek gimmel Mishnah Daled. I know the Mishnah forbids it. 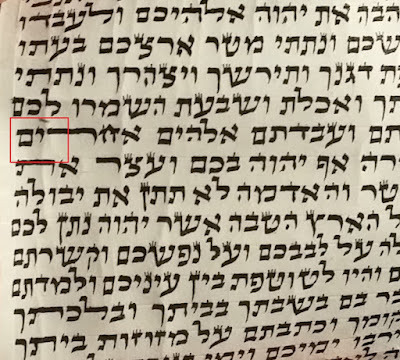 However poskim allow the "filling in" of letters since it is not maaseh uman (and certainly not the normal way of writing) - see chol hamoed kehilchoso. So people are noheg to do siyumim on Chol hamoed. However what if there is a smudge or soething that needs fixing at the siyum? do you delay the whole hachnasa? Or can you fix it, even if it means rewriting some letters? Since then I have done 3 others , all on Chol hamoed succos and one more tomorrow. Ideally I would rather not do it on chol hamoed, but I think its a prime time before Simchas Torah, people are in the mood, also a lot of people are not working and its a good time for a simcha, so its definitely a reason why people want to do it then. If the sefer is being used on yom tov, wouldn't any ma'aseh uman be allowed as tzorech hachag? Re your original question, as a part time sofer I was told I can write for a commission because my free time to write is a davar he'avud though that heter does not extend to the s'chorah aspect. I'm wary of stretching a heter that feels thin as it is but possibly one could say that the community's time and the money already spent on the hachnasa is also davar he'avud. Would you like me to ask? tThe heter only applies when there are no other seforim in the shul, or not enough for the different kriyos. Fair enough for the first heter. What about the money spent on the hachnasa. BTW, I had to fix our shul's maftir sefer on Sunday. I guess it depends how you define tzorech hachag. From memory S"A says if the sefer being fixed is the only sefer and it's needed. If the shule has other sefarim I'm not sure the same level of tzorech would apply? I assume that R Gavriel's instruction to read from the sefer makes it easier to allow holding the siyum at all, which maybe is because some say that it's bediavad in the first place. Perhaps his thinking is that if we combine factors such as leining from it and making it more beautiful than the others then we can even do it lechatchila?